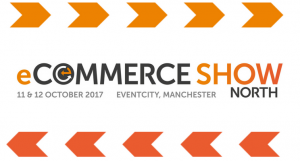 We can today announce eight more industry-leaders figures who will be speaking at eCommerce Show North. Registration for the inaugural event - which takes place over October 11th and 12th 2017 at EventCity in Manchester - is now open and proving very popular. And the names we are revealing today will be appearing in the eCommerce Theatre, sponsored by foreign currency specialists WorldFirst. 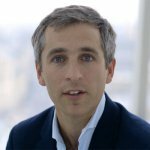 As a co-founder of Pivot, Neil brings an understanding from both the retail sector (Selfridges, Emma Bridgewater & House of Fraser) and the marketplace arena (Tejuri.com). Neil spent 10 years living in Dubai where he managed a retail research and advisory company for the majority of that time before moving back to London to consult into the UK government. As a consequence he has an industry perspective that is as unrivalled as it is knowledgeable and diverse. 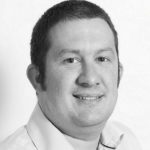 Neil’s role at Pivot typically concentrates on client management and industry representation. 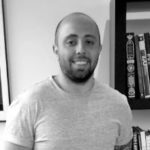 Jesse is the head of outbound sales at InterCultural Elements, which specialises in helping online retailers to expand their sales internationally. 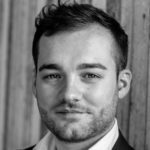 Having lived in multiple countries away from his native England, Jesse is now based in Leipzig and is well placed to advise his clients on both the cultural and technological aspects of cross-border trade. With in-depth experience across the real estate, hospitality and e-commerce industries, Jesse offers a fresh approach to the world of international e-commerce. Nilay is the co-founder and CEO of Klevu, a market-leading, AI-based eCommerce search solution. Nilay is a passionate entrepreneur who is obsessed with building diversity and innovation into the core of Klevu’s global team. Earlier, Nilay has a keen interest in artificial intelligence and natural linguistics and received his PhD in Computer Science from the University of Hertfordshire. Chris accelerates growth and maximises revenue for the world’s biggest eCommerce brands. An entrepreneur at heart, he’s built successful digital agencies and serves as a mentor at Google’s Start Up Weekend. 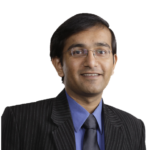 He specialises in product and service innovation, helping his clients survive and thrive in a new era of digital disruption. 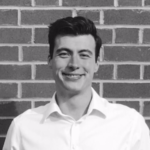 A creative problem solver, Tom has worked with a range of multi-national companies to help analyse, define and create their digital strategies. Tom’s remit will be ensure user-centred design remains at the forefront of all creative. Gavin Masters, Head of eCommerce Consultancy, Maginus - How can you turbo-charge results from your B2B eComm Platform? 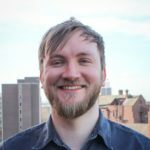 Gavin is head of eCommerce consultancy at Maginus in Manchester, where he works with a range of high profile clients such as Co-op Electrical, The Royal Mint and ERA home Security to help them optimise the results from their digital channels. His background in a variety of agency, pure-play and traditional retail and B2B businesses gives him a unique insight into the online arena. 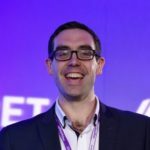 Gavin has led a number of large digital transformation and internationalisation projects. As Pentagon’s European managing director, Graham is responsible for the growth and ongoing development of the Pentagon portfolio across Europe. Pentagon is a global, end-to-end solution provider that enables brands and retailers to accelerate their online growth through 50+ marketplaces worldwide. Graham joined Pentagon in 2015 as part of the acquisition team, specialising in the automotive sector. Since then he has worked closely with clients to understand their pain points and develop solutions that support their ongoing online growth. He became the Group’s European Managing Director in 2017, with the aim to further develop the Pentagon proposition and drive greater success for clients throughout Europe. Rob, who has headed up paid search at Mabo Media since 2014, will explain how to optimise your Google Shopping feed effectively with industry-leading strategies.